The health and social care bill has had a chequered passage since it was announced as proposed legislation for England on January 19th this year. The secretary of state for health, Andrew Lansley, proposes wide-ranging changes to the delivery of health care and how it is commissioned. The reforms will increase the stake of private companies in the NHS, so that instead of GP-led primary care and consultant-delivered hospital services we will see “any willing providers” picking up the most lucrative high-margin operations, leaving the NHS to provide complex, costly care. The health secretary will no longer be able to intervene as the Bill abrogates their duty to oversee the provision of universal health care. The prime minister’s parliamentary speech suggesting that the reforms are well supported by the Royal Colleges and health workers do not stand up to scrutiny. The BMA has openly asked the Bill to be withdrawn, the Royal College of Nursing has passed a vote of no confidence in Andrew Lansley, a large number of scholars have written openly in the national papers for the Bill to be withdrawn, and notable Liberals such as Baroness Shirley Williams and Dr Evan Harris have come out in opposition. It is worth reminding ourselves that there is no mandate from the public or either party in the coalition to this reform. Key to the government’s reforms (dubbed “Lansley’s monster” by the BMJ) are economic efficiency and a target of £20 billion in savings to be achieved by 2015. This is impossible to achieve, for many reasons. 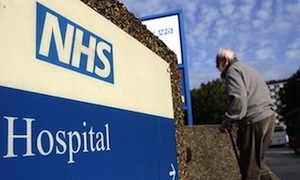 Even in the sternest times, the NHS has been expected to run a cost efficiency reduction of four per cent despite the evidence that only two per cent was achieved at the most. Against a competing demand of more expensive treatments and high patient expectations it is just not possible to improve financial efficiency to the extent the coalition government proposes without it seriously affecting patient care. A further concern I have is that commissioning as proposed has never been tried and tested elsewhere. The coalition intends to make GPs responsible for all commissioning other than that of specialist services. The flaw in this argument is that GPs are not experienced in commissioning, many do not want to do it, and also it will take those very experienced GPs who do take the role, away from providing patient care. These GPs are likely to be at a level of seniority where they are a major asset to patient care. Drawing them away from patient care is likely to have consequences for primary care. For those who intend to commission and have the resources to do so, it seems less than clear how any conflict of interest will be overcome. Those who commission will be permitted to provide a service too, effectively increasing the scope of self-commissioning and self-profit. The most contentious part of the Bill is the Secretary of State’s intentions to introduce private health care well beyond the vision of any previous government. There is already scope for Foundation Trusts to increase their income from private providers, but so far they have been cautious not to do this as they still operate under the framework of the NHS Constitution. Removing the barriers will mean that waiting lists will target patients with higher resources than the NHS tariff, private patients will be prioritised over NHS patients, and the real threat is that the elderly and the vulnerable, those with chronic mental health problems, those with chronic medical problems such as diabetics, renal patients, etc will be a low priority. There is every possibility that the reformed NHS under these proposals will become exclusive rather than inclusive. Removal of a cap over private income will see Foundation Trusts competing over costs rather than quality, so that those that are run by poor management will risk the stability of the hospital to a much greater extent than prevails now. I’ve spent my life working for the NHS as a doctor, a GP and as a PCT Chair, as well as for the British Medical Association. I believe this is the wrong reform at the wrong time and I am passionately opposed to the Bill for the reasons stated above. That’s why I’m asking you to help by signing this petition. If we get 100,000 signatures, Number 10 will surely finally be forced to listen and drop this Bill.